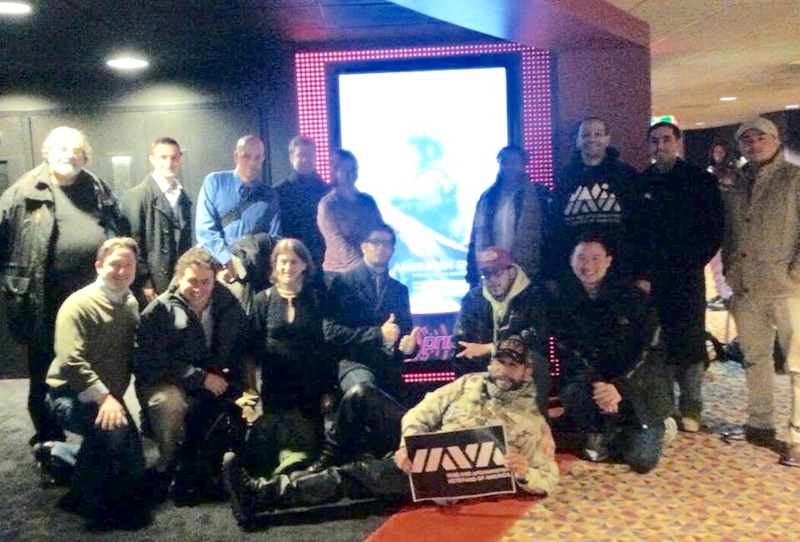 Last week IAVA hosted screenings across the country of American Sniper, the Oscar-winning movie about an Iraq war veteran Chris Kyle, thanks to a partnership with Warner Brothers, whose sponsorship made the events possible. 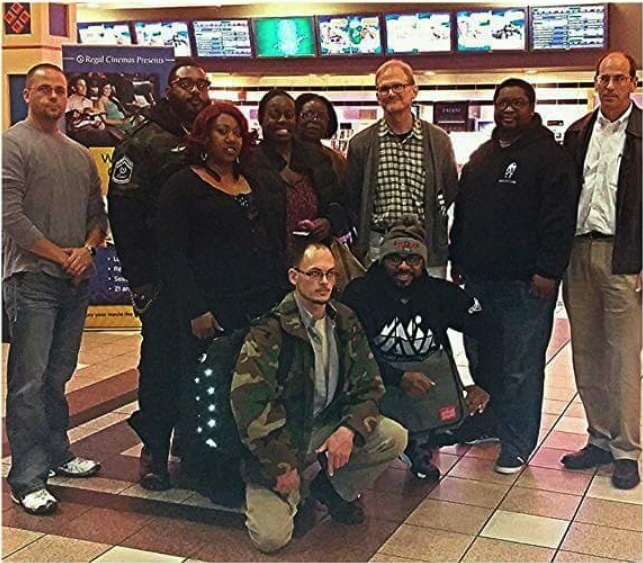 Hundreds of veterans were able to see and reflect on the Oscar-nominated blockbuster at VetTogethers in 18 locations across 14 states. The film’s portrayal of war and coming home is real and intense, so for most veterans in our community (57%) it was important that they be able to see it among peers, and then to have space to decompress and share. 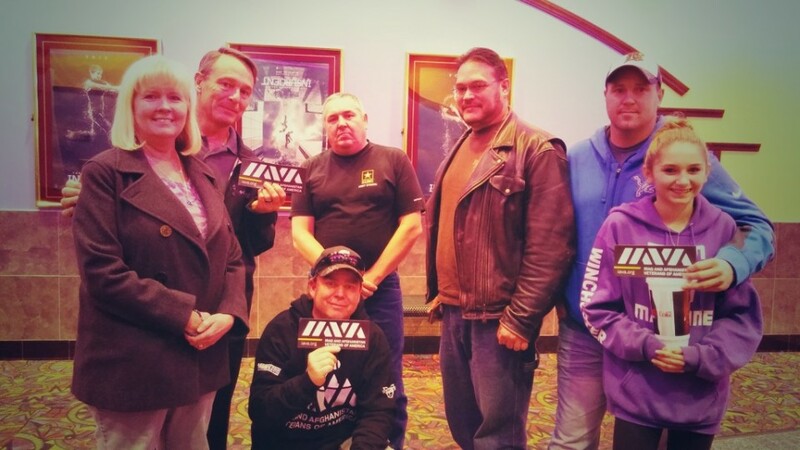 Indeed, though attendees rated the film an impressive average of 4.7 out of 5 stars, nearly all said the best part of the screenings was having the opportunity to talk about their own experiences with fellow veterans afterward. That community support and camaraderie is at the core of all of our VetTogethers; no wonder 100% of respondents said they’d come to another in the future and recommend attending one to a friend. 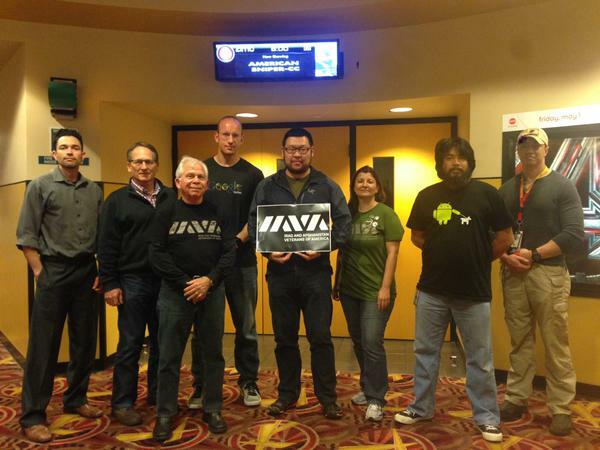 At VetTogethers, IAVA also ensures that veterans have access to useful resources and transition-related information. The accuracy of the film’s sights and sounds, and its emotional weight, made that even more important in these events. Every veteran who attended received information about the Veteran Crisis Line (1-800-278-8255, PRESS 1) and IAVA’s own one-on-one transition assistance program, Rapid Response Referral Program, to which they can reach out at any time or pass along to a friend in need. 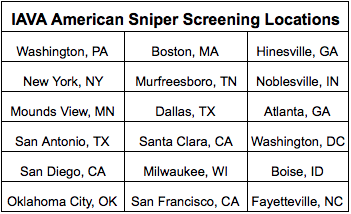 If you made it to a screening in your area, be sure to fill out our post-event survey. 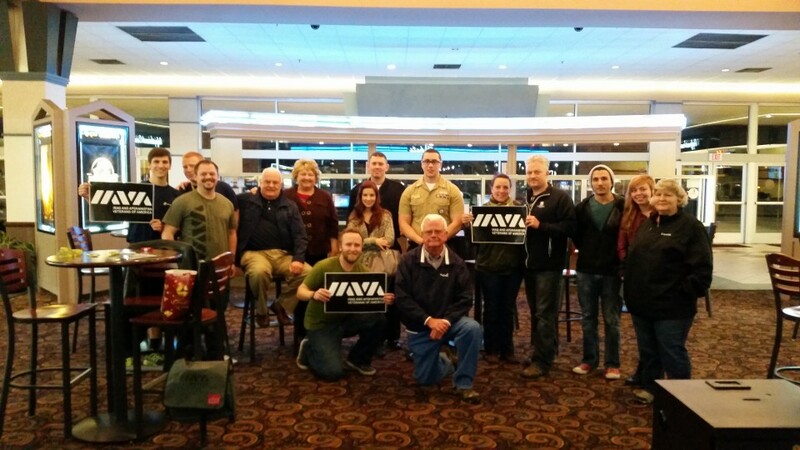 If you weren’t able to make it out this time, fear not, because 77% of respondents said they’d like more movie screenings, IAVA will look to host more of these in the future. 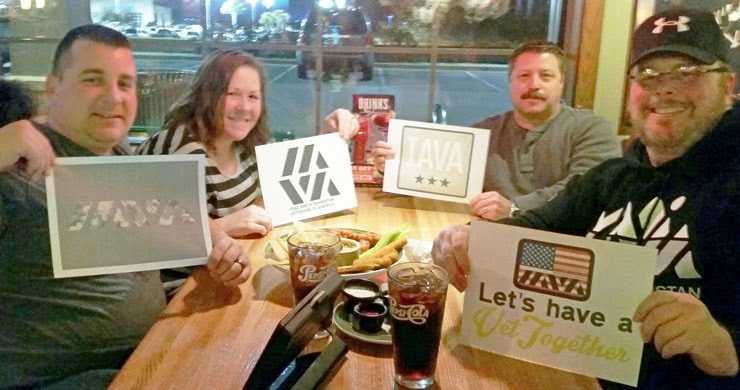 In the interim, IAVA members host a variety of VetTogethers in cities and towns across the country every month, which you can find on our map here. 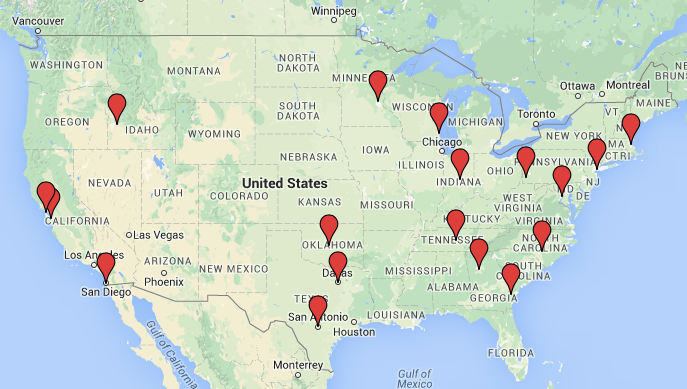 If you don’t see one near you, consider hosting an event of your own. The events shown were very important and appropriate education for all veterans and their families plus the public. Meeting local vets like myself! I’ve been a member since 2007 and this was the first event within driving distance. The coordinator was extremely cordial and organized. The movie was incredibly powerful. Knowing that I was surrounded by veterans as we watched the reality of fellow veteran unfold from cowboy boots to combat boots, back home was a dynamic experience. I like experiencing events like the movie with other vets. I never go to theaters…it is dark, full of strangers and loud (blocking my senses). However, in the company of other vets I felt ok.
A must see, and a touching realism, take someone to help you be grounded. But overall, #1 in my book. Its not pro war, its up lifting about what we go through when we get back, but its unfortunate the way Chris’s life ended. Go see it. Feel the closeness/camaraderie surge in you again, being with other vets. See the accuracies or inaccuracies in the film. See what Clint Eastwood did, and how good he was in portraying the 1) military, 2) the Spec-Ops / High-tempo Unit Operations demeanor, and 3) the Point of View (POV) from the spouses/loved ones left behind while the servicemember is deployed. Well worth the time time and our support. It’s an excellent film. Most true to subject movie I’ve ever seen. “aim small, miss small”…. and that phrase sums up the scope of the movie and its effect on me. It was a powerful movie because its scope was small. One heroes journey and his normal reaction to an abnormal situation. It was powerful. It was a good representation of what a military member and their family goes through in a time of war. Great film.